Can You Buy a Car Without a Driver's License? You don't need a driver's license to buy a car - but you'll obviously need one to drive the car off the lot. Are there any benefits of buying a car without a license then? 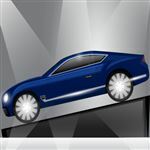 Buying a car without a license does pose its limitations, but if you need to buy a car for someone else, it can be done. 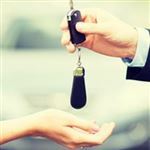 You may run into issues at the dealership, as your driver's license is one of the first things salespeople typically ask for, but letting them know the reason can move the process along. If you buy a car from a private seller, not having a driver's license won't be an issue when you buy the car. It's when you go to register it that you may see problems. Keep reading to find out more about the need for a driver's license to buy a car. Do Car Dealerships Require You to Have a License to Finance a Car? Dealers need to make sure that you aren't trying to take out a car loan in someone else's name. This also helps the lender know that they are pulling the right credit report when it's time to check for your qualifications for financing. You aren't supposed to drive your car on the road without registering it with your state. In order to register license plates in your name, you need a valid driver's license. Dealerships typically help with the registration process so that you can legally drive the car off their lot. If you don't have a driver's license, you may be able to get by with a valid state ID. You may still have issues when you go to register the car, though. Can You Get License Plates Without a Driver's License? In order to buy license plates from your state, you must register the car with the state. In order to register it, you'll need a driver's license. Also, the name on the title must match the name on the car's registration. This prevents you from registering the car in someone else's name even though you hold the title. The only way around this issue is if you pay cash for the car. You can then put someone else's name on the title, allowing them to register the car with your state. This could be risky business though, because the person on the title technically owns the car. The best thing to do is co-title the car with someone who has a valid driver's license. Of course, this is best done with a spouse or other blood relative whom you trust. Can You Buy Car Insurance Without a Driver's License? It's not a law that you must have a driver's license to get car insurance, but most insurance companies require it. That's because they insure the driver of the car, which is usually the owner. You can ask to be excluded as a driver and insure another primary driver, but it typically needs to be a blood relative or someone living with you. Do You Need a Driver's License to Test-Drive a Car? You'll need a driver's license to test-drive a car from a dealer or a private seller as it's illegal to drive without one. If you are the one buying the car, but you don't have a license, you can go along with someone who does have a valid driver's license. 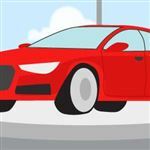 Do You Need Car Insurance to Test-Drive a Car? If you test drive a car from a dealership, they typically have a blanket policy that covers any mishaps while test-driving a car. Don't just assume that though, check with the dealer and make sure you aren't signing any type of waiver that releases them from liability when you test the car. You Have a Caretaker: If the caregiver doesn't have his/her own car, you may want to have ownership of a car so he/she can get you where you need to go. It's For a Relative: Just because you don't have your license doesn't mean your relatives won't have one. If you need to buy a car for someone, such as a child, you may need the car in your name for financing purposes. It's For Your Employees: If you own a business, you may need vehicles or your employees to drive. Because you own the business, you'll need to finance the vehicles in your name. It is possible to buy a car without a driver's license, but you won't get far with it if you can't register it with your state. Legally, you must register the car with the state before you drive it. Since most dealers handle this process before you drive the car off the lot, you'll need your license to buy the car. You can work around it by buying the car with someone who has their license, but then you face the issue of co-owning a car. Think long and hard about the consequences of this step before you buy a car. Share on Facebook "Can You Buy a Car Without a Driver's License?"